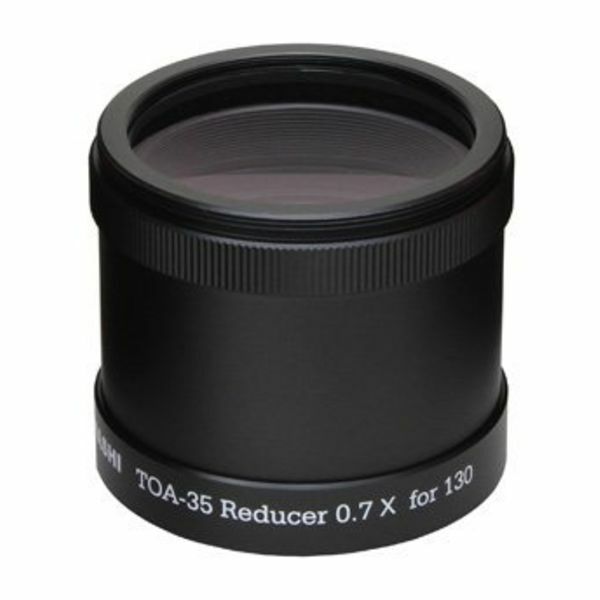 The TOA-35 Reducer is a 0.7X reducer for use with the TSA-120, TOA-130 and TOA-150 telescopes. 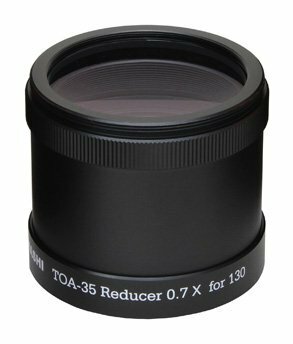 The reducer consists of 4 elements in 3 groups and utilizes ED glass, and produces a 44 mm diameter image circle. When used with the TOA-130 and -150, the appropriate adapter ring is required.